William Fife III designed EVA to the requirements of the Second Linear Rating Rule, she has the same dimensions as an international 8 metre. Sympathetically restored for her re-launch in 2003; she is well known on the Mediterranean Classic Yacht Circuit and adored by lovers of classic yachts. 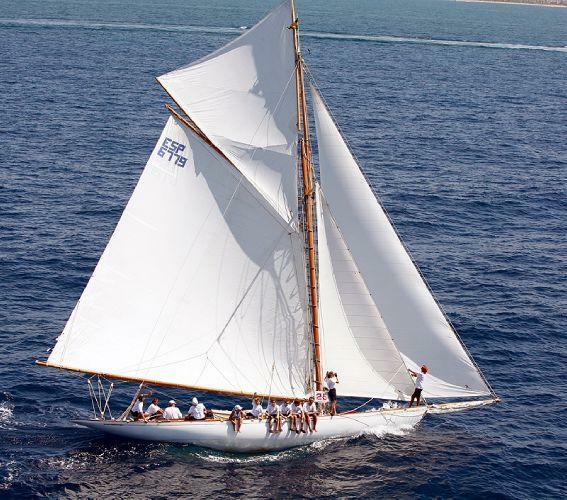 EVA is flawless - an exquisite example of a vintage yacht. To maximize her light air performance Collars supplied an alternative 'light weight' rig making all the spars in laminated hollow spruce opposed to her existing Solid Douglas Fir spars. With weight removed from aloft her performance improved in light airs, ideally suited for her CIM racing.